Do you hear names of Christians of the past and wonder how they fit into the flow of church history? 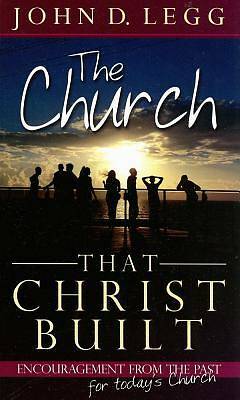 In The church that Christ built John Legg has captured the key moments of the history of the church from the time following the apostles. His historical snapshots race through the centuries encapsulating the pivotal moments, people, theological controversies, times of revival and blessing, and reveal the amazing way that Christ has preserved, used and encouraged his people. Having shown you what God has done in the past, The church that Christ built will also challenge you to emulate those who have gone before.